‘Bulaubulau’ is Charwei Tsai’s (Taiwan) first solo exhibition in the UK and it demonstrates her devoted interest in spiritual traditions and research in indigenous tribes in Taiwan. This exhibition presents a selection of works from the last seven years, which reflect her multi-media practice. ‘Bulaubulau’ is Charwei Tsai’s (b. 1980, Taiwan) first solo exhibition in the UK and it demonstrates her devoted interest in spiritual traditions and research in indigenous tribes in Taiwan. This exhibition presents a selection of works from the last seven years, which reflect her multi-media practice including installation, film, photography and drawings. A common thread through all of Tsai’s works is her exploration of the symbiotic relationship between contemporary sustainable practice and spirituality and traditional rituals. Her recent films focus on depicting the traditions and customs of indigenous communities in Taiwan and the impact of external environmental and social factors on their lives. The exhibition particularly looks at the increasing impact of climate change on these communities who are impacted upon by typhoons, landslides, flooding, pollution and other environmental damages. Through her work Tsai seeks to highlight the injustices inflicted on these communities, often caused by neglect of policymakers, and in light of this Tsai celebrates their resilience and successes in implementing sustainable economic and educational systems as well as preserving spiritual practices and traditional knowledge. 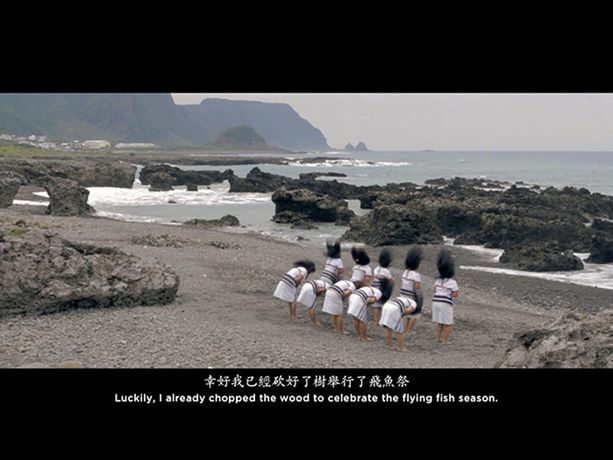 The exhibition includes a newly commissioned film which follows students from the Root Vocational School, founded by the Bulaubulau Aboriginal Village in Yilan, Taiwan. It will also incorporate a large scale installation - Driftwood (2011) – created from large pieces of driftwood washed up in Taiwan during a typhoon and poetic video essay Lanyu – Three Stories (2012) which is comprised of three short films depicting different aspects of spiritual life and ritual of the Tao Tribe from the Lanyu Island of Taiwan. The exhibition also brings together a selection of Tsai’s photography and watercolour and ink drawings. This exhibition is part of CFCCA’s ‘Season for Change’, six months of programming exhibitions and events that address and tackle crucial questions on climate change and protecting the environment. 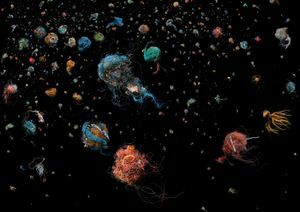 It will run alongside an exhibition of award winning photography series Hong Kong Soup by Mandy Barker.